Quick Icecream recipe by Sana Ali at PakiRecipes.com. 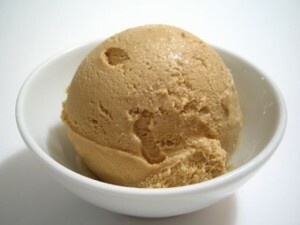 Delicious and easy to make home made icecream. Beat egg white and yolk separately. Beat egg white untill eggwhite becomes fomey. Add grained suger,coco powder and egg yolk. Beat cream in other bowl well but it should not be very thick. Add egg mixture into cream mixture. Beat again lightly. Put it in air tight jar in refrigerator for upto 6hours.